Dr Alfred Mwenebatende is the Founder and Medical Director of Centre Medico-Chirugical de Goma. He was born in Kamituga in the province of South Kivu. 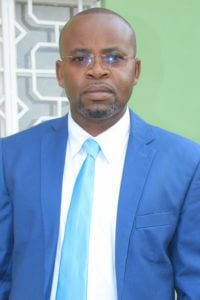 He completed his medical training as a generalist at the University of Kisangani in 2002. He did further specialty training at the University of Kisangani in pediatrics, internal medicine, obstetrics and surgery. 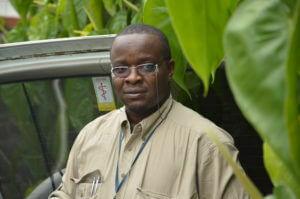 He became a staff physician at the Provincial Hospital North Kivu in Goma in 2004. He was on staff at the Therapeutic Nutritional Center of the Department of Diocesan Medical Works in North Kivu from 2004-2007. He has been a consulting physician at the Don Bosco Ngangi Medical Center from 2004 to the present. From 2007 to 2012 he was the chief medical officer for the International Medical Corps where he oversaw the medical care of seven refugee camps and six nutritional centers. Dr. Jeff Mibi Kakisingi is the Medical Director and Chief of Surgery of St. Vincent’s Hospital in Bukavu. He was born in Kamituga, the youngest of 11 children. He obtained a medical degree at Catholic University in Bukavu with a focus on medicine, general surgery and obstetrics followed by a specialization in gynecological surgery. He trained in Italy to perform gynecological surgery and he trained in Ethiopia to perform gynecological reconstructive surgery and fistula repair. 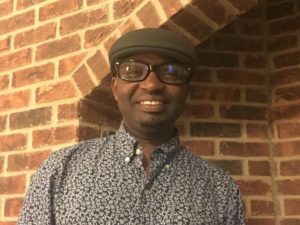 Since 2012, he has been on the faculty as a senior assistant in the Department of Obstetrics and Gynecology at the Catholic University of Bukavu. He is also a lecturer in gynecology at Simon Kimbangu University. He co-founded the Rotary Bukavu-Mwangaza club in 2013, the same year he he was designated a Peace Ambassador by the Universal Peace Federation for his work with victims of sexual violence and the poor in disadvantaged areas. In 2014 Dr. Jeff founded the S.A.D. organization to deal with non-medical aspects in the care of victims of sexual violence. An accomplished musician (guitar, piano, violin), he leads a gospel choir “Hope and Peace Voices for Africa”. Dr. Jeff is married with 3 children. Dr Sylvia Esser-Gleason is an Emergency Medicine physician in the Kettering Hospital system in the Dayton, Ohio area. She attended medical school at Ohio University College of Osteopathic Medicine and did postgraduate training at Grandview Hospital in Dayton Ohio. She has been a practicing physician for over 25 years. She first became involved in Eastern Africa through the non-profit Bridges to Rwanda and its orphanage in Muhororo Rwanda. She is currently involved with several organizations working on human rights and humanitarian issues. In December 2008 Dr Sylvia Esser-Gleason, traveled to Don Bosco Ngangi in the Democratic Republic of Congo. The suffering and need she witnessed there led her to found Project Congo. Initially, she self-funded all support provided to the DRC, but realizing the vast need in the Congo, she has enlisted the aid of others. Read her story, The Heart of Darkness. Carey Evans attended Mississippi State University and studied Accounting and Biological Science between 1990 and 1996. In addition to Project Congo, he serves on the board of directors of the Middle Tennessee Urban League, a nonprofit that reaches out to and supports at risk families by providing financial literacy, job placement and training. His passion is helping people succeed in business and personally by avoiding pitfalls that can make life’s journey more difficult. 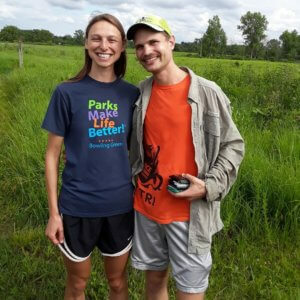 Carey is blessed with a fantastic wife and four beautiful children who keep both he and his wife busy with school trips, parent conferences and activities. He is currently Assistant Vice President and Licensed Financial Advisor at US Bank and US Bancorp and currently resides in Spring Hill. Isabel Kleinfelder has been an Occupational Therapist in the Dayton Ohio area for over 20 years. 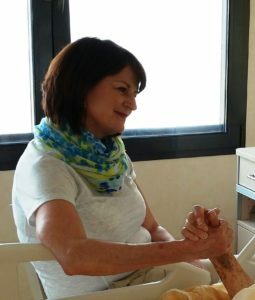 She enjoys helping people regain the ability to fully live their lives through therapeutic retraining and a definite plan of action. 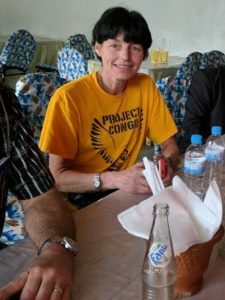 She has supported Project Congo for many years, participating in fundraising, advertising and raising consciousness of the plight of the Congo. She truly believes that together we can truly make a difference in this world. Hubert Methode Matumaini was born in Bujumbura, Burundi. He now lives in Dayton, Ohio where he works for the Dayton Public School system as a refugee outreach and Welcome Center coordinator. 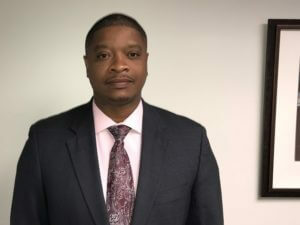 Originally trained in construction, his focus now is education and social services. He has a true passion to help refugees and immigrants integrate into American society and our education system. He speaks several African languages as well as French and English which allows him to facilitate communication between people of different cultures. His other passion is bande dessinée (graphic novel) and his dream is to produce an animated film. Chris has been a Spanish teacher in the Dayton area since 2012, at Northmont HS since 2016. He enjoys studying and teaching about different cultures through his job and travels. Lizzy works as a Physician Assistant in the Dayton area and has worked with Project Congo since its inception. Joanna and I dated all through high school and got married in college. We knew all along that we were gong to start our family through adoption. Once we finished grad school we started the process to adopt our first child. We prayed about it and felt led to adopt from the Democratic Republic of the Congo. 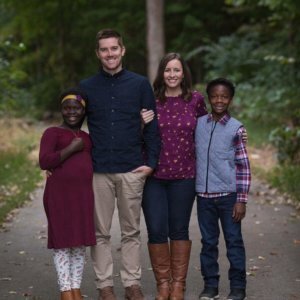 Immediately after signing the official documents to be placed with our child, we found out they Congolese government suspended all adoptions. So we decided to pack up everything and fly over and live with our son while we waited for the suspension to lift. We left in June, expecting to be home by August. We ended up staying in the DRC until April, 10 months in total. While there we were able to navigate the paperwork and get our son home. While there, we also spent a lot of time working with missionaries and visiting orphanages with our son. Our heart grew for the children of Congo and soon after returning to the US, we started the process to adopt our daughter. In the summer of 2018, we partnered with some incredible missionaries who were building a school for 1,000 children in one of the poorest communities in Kinshasa. Future protects include orphan care, educational services, and food/water projects.